Here is your chance to win a bull elk tag and help the Intermountain Junior Rodeo Association (IMJRA) in California. For the past six years, every winner has taken a trophy-type bull and this year's winner can expect the same. 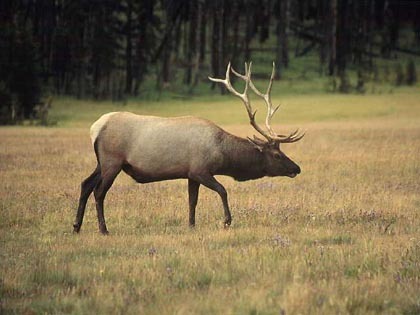 The hunt is donated and held on the Black Ranch near Burney, California. All California Department of Fish and Game Rules apply. The drawing will be held on September 2, 2001, at the Intermountain Junior Rodeo in McArthur, California. Raffle tickets are available for a $10 donation for each ticket. You do not have to be present to win. Be sure to include your return address and telephone number so tickets can be mailed back to you. This hunt is open to both resident and nonresident hunters. The winner will need to purchase a California hunting license. For further information, contact Ted Debraga at (530) 335-4286.